Designed for use under Estate Emulsion and Modern Emulsion. 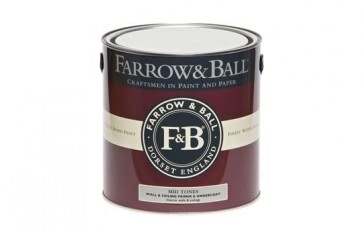 Farrow & Ball Primers & Undercoats are the crucial foundation to our topcoat. They ensure your colour is always primed for attention. It is important to use the correct type and colour of Farrow & Ball Primer and Undercoat, and is available in four colours dependent on your top coat colour.